Q: I suffer from redness across my cheeks. It always seems to get worse as the weather gets cooler. Can you help me disguise it? A: Redness in the skin can be caused by a number of factors, like thread veins, extreme changes in temperature and spicy foods. Rosacea, an inflammatory condition that causes flushed, red skin, affects 1 in 10 people and is most common in women aged 30 to 50. If you suffer from redness, try to avoid direct sunlight and central heating. Look for products designed for sensitive skins so you don’t make your symptoms worse. Eucerin Anti-Redness Calming Night Cream, £20, contains skin-soothing licorice to ease redness in 4 weeks. For a quick fix, invest in a yellow or green-toned concealer. 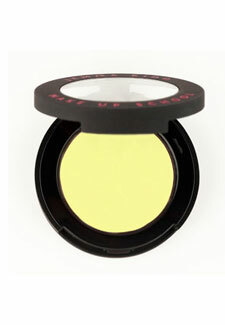 Jemma Kidd Make Up School Citrus Colour Corrector, £14, is our pick to neutralise redness in the skin. Apply to flushed areas then apply make-up as normal.